Concept art and models from GamesDay. 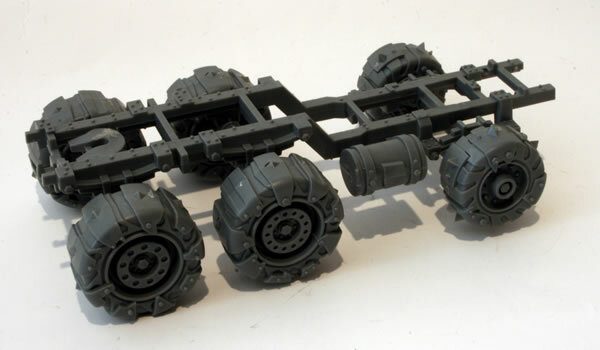 The original Ork Trukk model was designed for Gorkamorka, workbench feature on the first of the new Ork Trukks. 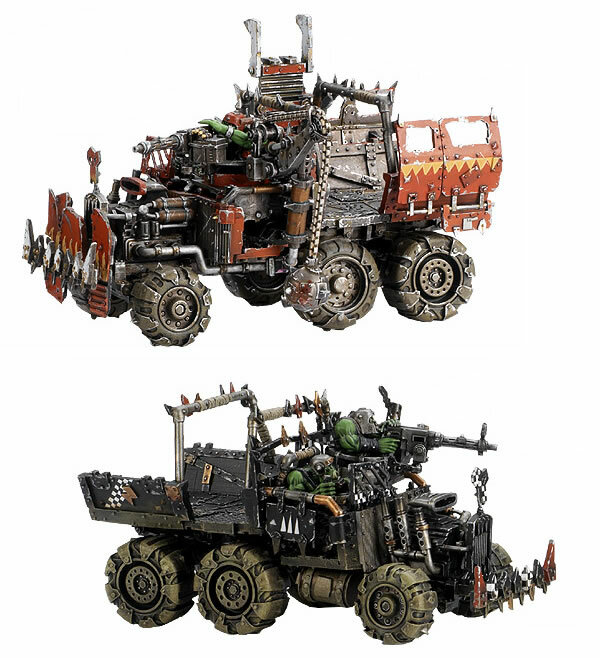 Trukks are designed to transport mobs of choppa-wielding Boyz into combat as quickly as possible. Each warband and clan will 'kustomise' its trukks to reflect their own predilictions. For example, a Goff vehicle will be functional with a large crew compartment, while the Evil Sunz almost always have turbo-charged engines and a red paint job. I do like this model and think it is very Orky. 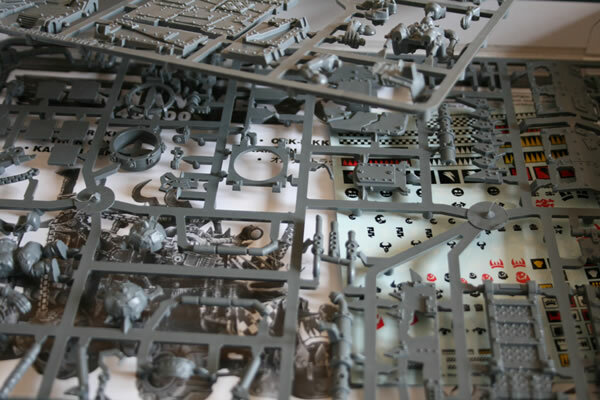 You can see how it was developed by Games Workshop from some of the photographs I took at GamesDay. 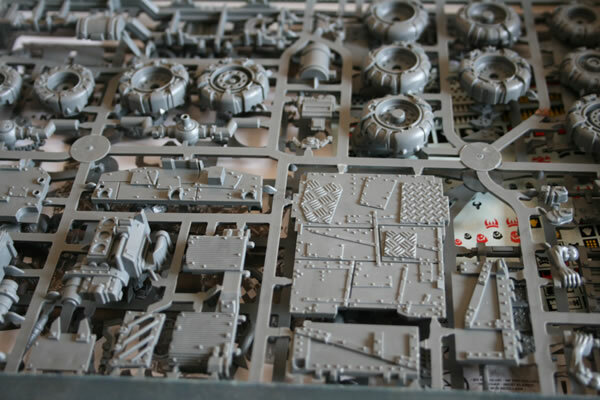 Before starting any model I always look at the GW site and do a Google search to see how others had built and painted theirs. You get a very thin box with two sprues, transfers and instructions. The model was constructed as per the instructions, Generally I try and build as much of the model as possible to avoid having to glue painted parts together... The chassis and wheels were the first parts I stuck together. As I had got the Forge World Ork Halftrakk I had some spare wheels, so rather than use the mix that is provided, I doubled up the wheels using the "squarer" wheels. This should give my Trukks a more diverse look.